Valentine’s Day is the holiday of relationships and love, so what better way to celebrate than getting down on one knee, popping open the ring box, and asking your partner to spend a lifetime with you? While some may find proposing on VDay to be cheesy, these celebrity couples do not agree. 1. Christina Aguilera and Matthew Rutler: On Valentine’s Day last year, the singer revealed her celebrity engagement to her film producer boyfriend by tweeting a photo of a massive diamond on her left hand. This celebrity couple met on the set of Burlesque in 2010, as she was going through a divorce from Jordan Bratman (a divorce that, ironically enough, was finalized on Valentine’s Day in 2011). Looks like Rutler “Ain’t No Other Man” in Aguilera’s eyes! 2. Dave Annable and Odette Yustman: In 2010, Annable, most known for his role on Brothers and Sisters, proposed to his co-star girlfriend of two years. He proposed at the place they first fell in love and had their parents waiting for them at the hotel restaurant. The actress was surprised by the proposal and excited that she got to share it immediately with her parents and future in-laws. This celebrity engagement did not last long – the twosome got married eight months later! 3. Vince Vaugn and Kyla Weber: For this couple, the engagement had been discussed months before it actually happened. Little did Weber know, her comedian boyfriend did not want to pass up the opportunity of proposing on Valentine’s Day. Not only was it a romantic holiday, but it was also a date that he said he would always remember. In 2009, Vaughn got down on one knee and proposed to the Canadian real estate agent. She said yes, and this celebrity couple is now married with two children. 4. 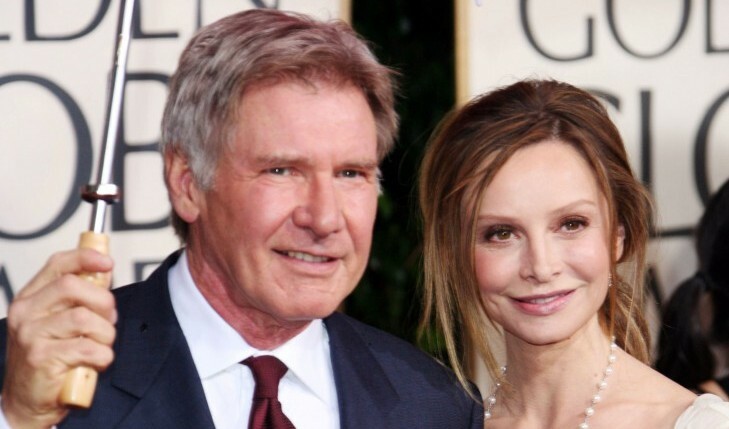 Harrison Ford and Calista Flockhart: Actor and producer Ford decided to take his relationship with Flockhart to the next level in 2009. Prior to that Valentine’s Day, this celebrity couple had been together for seven year. When Ford asked her to marry him, it’s reported that she was taken by complete surprise. 5. Christina Applegate and Martyn LeNoble: The Anchorman star and her Dutch bassist beau got engaged on Valentine’s Day in 2010. This celebrity love story gets sweeter. According to the Daily Mail, Christina gives credit to LeNoble for saving her life after she had a double mastectomy in 2008. The celebrity couple wed three years later in February 2013. What are your thoughts on a Valentine’s Day proposal? Share in the comments below!